This female pilot mask is perfect for flying cardboard airplanes. 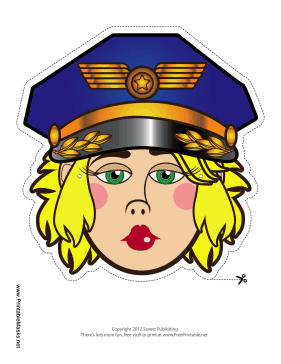 Her blue hat has a winged badge and sits above her long blond hair. This mask is free to download and print.